With 196 metres above sea level, Mount Eden is the highest elevation on the Auckland isthmus, one of over 50 volcanoes that characterise our landscape. Its crater is 50 metres deep (I assume that is measured from the summit), and here we look up from the lowest point of the rim. 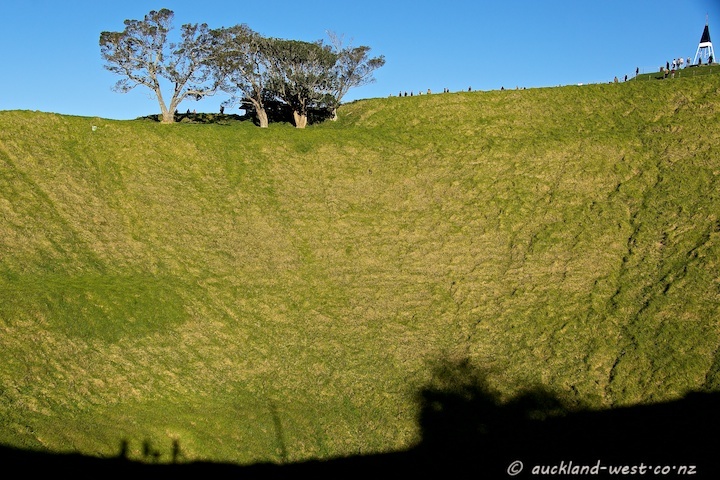 Mount Eden erupted about 28,000 years ago.